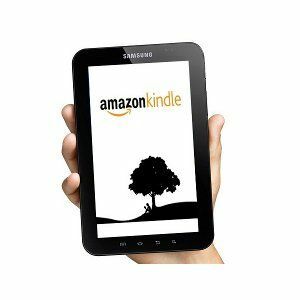 Rumor has it that Amazon is preparing a Kindle tablet that should launch by the end of the year. This is exciting new for the tablet market, as it’s been dominated by the Apple iPad so far. Amazon could be just the company to present a competitor with sales volumes similar to the iPad Top 20 Free Apps for Your New iPad Top 20 Free Apps for Your New iPad Read More . Allow me to explain why this upcoming tablet could be a serious challenge for everyone else. As competitors to the iPad have been released, their prices have surprised many. Traditionally, Apple has been a luxury brand, particularly in the laptop and desktop markets. With the iPad however, there’s not much of a premium to be paid. The entry-level model is accessible at $499. Part of the reason why Apple has managed to keep prices low despite excellent hardware is the app store. When a consumer buys an iPad, they are not just handing Apple the purchase price of the tablet. They’re also buying into an ecosystem where every song, every app, and every movie purchased funnels a bit more dough into the vaults of Cupertino. Android tablets so far have not been able to harness this because they’ve used Google’s Android Marketplace. Amazon has its own app marketplace however, as well as its own services for books, music and movies. Rumor has it that the Kindle tablet will start at $250, and the fact that Amazon can sell the tablet as a loss-leader no doubt contributes to this very low price. The fact that Amazon has a complete line of services to bundle with its tablet is also an advantage. Many geeks, including your truly, have bemoaned the fact that Apple’s iPad is bound to the app store unless it is jailbroken Jailbreaking & iOS: The Pros and Cons of Voiding Your Warranty Jailbreaking & iOS: The Pros and Cons of Voiding Your Warranty Have you been feeling the need to jailbreak recently? With the latest tools, freeing your iPhone, iPod Touch or iPad (not iPad 2) is as easy and accessible as it’s likely to get. There are... Read More . For the average consumer, this is preferable. It provides a simple, consistent user interface. 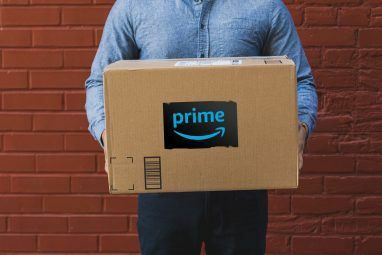 Although it will be based on Android, rumor has it that Amazon will customize the operating system and integrate its own storefront into the device. This should give consumers a better user interface, which will make the device less frustrating to use than your average Android Honeycomb device. One aspect of tablet design I’ve never understood is the insistence on a ten-inch form factor. This is something that I don’t think Apple has right. While a larger display does allow for more pixels and a better multimedia experience, it also creates a device that’s a bit heavy and difficult to handle without two hands free. BlackBerry’s PlayBook 6 Reasons To Avoid The BlackBerry PlayBook 6 Reasons To Avoid The BlackBerry PlayBook The BlackBerry PlayBook is available. It has the brand behind it, but does it make for a wise purchase decision? Read this article to decide for yourself if the PlayBook gives you the bang for... Read More , which I generally don’t like, did prove to be much easier to wield than its competitors. Rumor has it that the Kindle tablet will be of similar size, with a seven-inch display. If that is true, they’ll have created a device that strikes the perfect balance between usability and portability. Marketing has long been one of Apple’s greatest strength. The brand’s image is reinforced by a wide range of TV and online ads, and Apple’s prominence ensures that the company’s new products are fondled by the press. It’s free advertising! Companies like Acer, ASUS and even Motorola simply don’t have the same excitement behind them, but Amazon is in a better position. The company is still considered an innovator and is, of course, the web’s biggest online store. This gives Amazon the marketing platform required to launch a successful device, as the original Kindle proved. While there’s no doubt that Apple’s brand is stronger, Amazon is at least in the same ballpark. 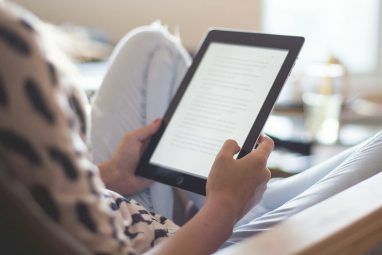 Please note that while I am comparing Amazon’s tablet to the iPad, I’m not suggesting that the Kindle will “kill” the iPad, or any such nonsense. In fact, if the pricing rumors are correct, the Kindle tablet will only partially compete with the iPad. Still, the Kindle tablet would be the first product to present a serious challenge to the iPad. Will it slow Apple’s sales, or will the iPad juggernaut continue on without hesitation? I’ll leave those predictions to you. Just to follow up - Amazon did unveil its new tablet, and I must say, it's actually a bit more impressive than I expected. I thought it would be a little gimped in terms of hardware, but in fact it has the excellent OMAP4 dual core. Very nice. I completely disagree with your post. Gilzilions have been spent trying to "kill" the ipad with no sucess. Apple just sits back and laughs. Apple has a winner and all try to knock down the King instead of trying to come up with their own "new" tech divice. STOP trying to beat the ipad and START the invention of a new and different device. It also won't make a dent in Apple's sales, just as the new Ford Fiesta didn't make a dent in BMW 3 Series sales. Sure it's nice, packed with features, and cheap, but it's simply not the same market. ITS A CAR ANALOGY. But your point is well taken. Competition between the two won't be as intense due to the price point difference. You say "This is something that I don’t think Apple has right" in terms of the 10 inch iPad display. I would say the evidence strongly suggests you have it wrong. I strongly agree. I've owned both form factors, and the 10" is far superior and more useable. Now, the 8"-9" form factor...THAT may be a winner, but 7" doesn't quite cut it. 7" is simply a acceptable sacrifice for those who can't afford a 10" (or couldn't score a $99 Touchpad). 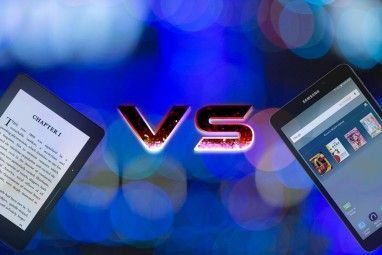 My argument is more subtle that "7 inch = automatically win" - I think 7 inch is superior, but if everything else about a tablet is so-so, obviously it won't do well.